China has a list of 14 sites it wants UNESCO to recognise, including the Mao mausoleum, Tiananmen Square and the Monument to the People's Heroes. For one activist, these sites are unsuitable because of their strong political associations. “Is the body of Mao Zedong the common cultural property of mankind?” he wonders. 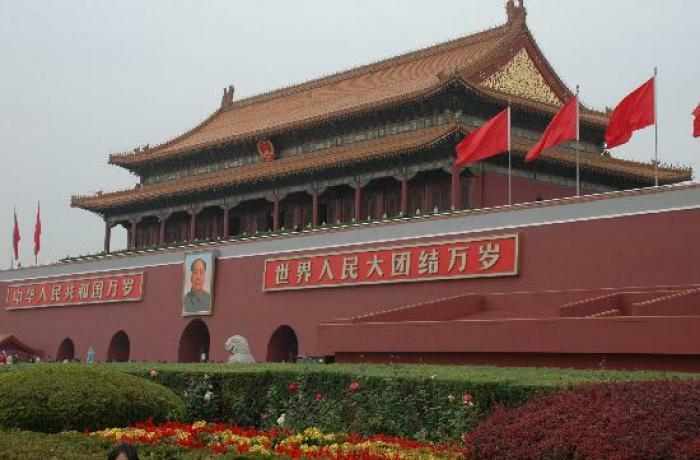 Beijing (AsiaNews/Agencies) – The Chinese government has applied to UNESCO to have the Mao mausoleum listed as a world heritage of humanity. Overall, China wants to have 14 structures listed, including Tiananmen Square and the Monument to the People's Heroes. Shu Xiaofeng, director of the Beijing municipal government’s bureau of cultural relics, is quoted as saying that the city hopes to have the buildings and structures in downtown Beijing meet the requirements by 2035. However, Beijing-based rights activist Hu Jia said that these sites are not suitable for inclusion in the World Heritage List because of their strong political associations. "Mao Zedong in particular should be recognized around the world as one of the three tyrants of the 20th century, alongside Stalin and Hitler,” Hu said. “I think that it’s very strange to include political sites [in this application],” Hu added. Xia Ming, a professor of political science at the City University of New York, said there is a bitter irony, given the amount of cultural relics destroyed during the political violence of the Cultural Revolution (1966-1976), at Mao’s behest. “Is the body of Mao Zedong the common cultural property of mankind?” he wonders. Beijing has also outlined plans to “reduce the population density” of the central area where its key sites are grouped, through financial compensation, re-allocation to “affordable housing,” and other forms of relocation of residents. This plan also includes the expulsion of thousands of migrant workers who live in “illegal constructions” in the city’s outskirts. The goal is to cap Beijing’s population at 23 million by 2020. At UNESCO, officials declined to comment China’s application. However, “Political significance does not affect whether a site is included in the World Heritage List,” one UNESCO employee said. “These standards have to do with human creativity, artistic value, cultural traditions, and so on,” the employee added. Typically, sites must be “masterpieces representing human creativity” and must have existed for “a considerable period of time or within a certain cultural region”.